Nearly 200 priests have been named in a list of abuse accusations. For the victims, the pain is still there. Brian Thompson reports. Over 180 priests Wednesday who have been credibly accused of sexually abusing minors over the past several decades in New Jersey. Many priests on the lists are deceased, and others have been removed from ministry. NJ follows over two dozen other states that have named suspected abusers in the wake of the grand jury report in Pennsylvania last year. Cardinal Joseph Tobin, the archbishop of Newark, which listed 63 former priests, said in a statement that he hoped the disclosure "will help bring healing to those whose lives have been so deeply violated." 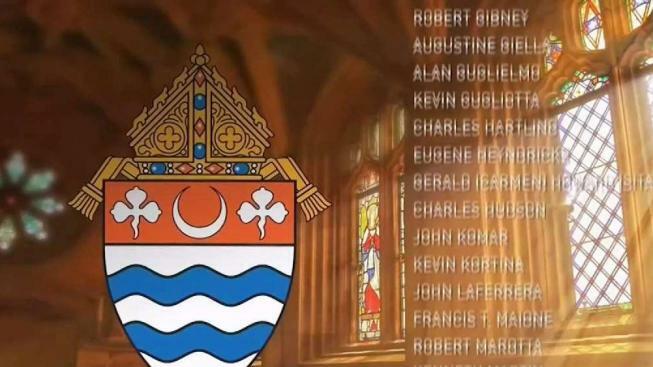 A list 50 names long shows Jesuit priests across the Northeast credibly accused of sexual assault. One victim is speaking out. Roseanne Colletti reports. "While this is a positive first step towards transparency and accountability, I hope this spirit of openness continues during the course of our ongoing investigation and in response to our requests for records and information," Grewal said in a statement Wednesday.